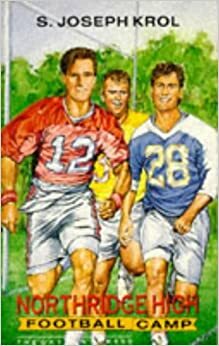 I started this book with no preconceived idea about its story line, other than that it would be based on American football in some way. IN this I was not wrong, though the author does manage to keep the technical language down to the bare minimum, fortunately! This is not an uplifting book. It does have a beautifully crafted ending – in fact at the end you are left wondering if there might be a sequel. The two protagonists (Big Vinnie and Vuch) have little in common, except that they play football on the same team. Vuch is the all seeing, all conquering ‘old timer’, and Vinnie as the pleb with some seeming chip on his shoulder, has difficulty in winning over some of the team. Some of the rest you can guess. The other main character, Meal, brings a twist at the end of the book. This twist is not new, it is something widely used in heterosexual books, and I seem to remember a similar one (or two) in gay fiction during the last ten years. I do not want to go into any further details, as in a lot of respects, this book is shallow, and leaves you wondering if it was worth the price asked for (£8.95) in 1996 – it may have appeared in your local library, or you can hope it will appear in a second-hand bookshop. In conclusion, this is not a book which inspires. It will do for a quick read in the bath, or on a train etc., but don’t expect to come out the other end a changed man (or woman).